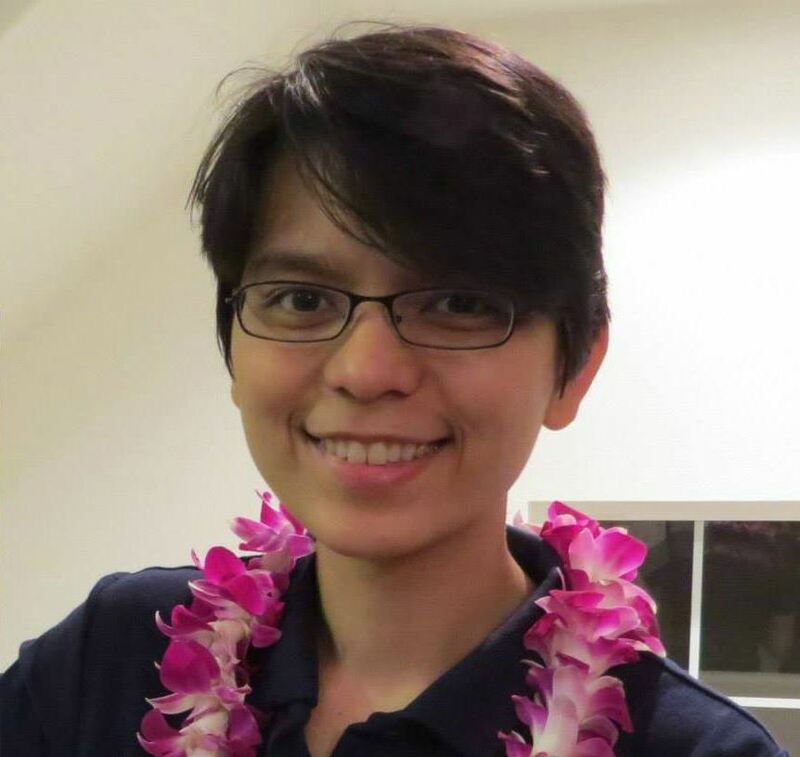 Nutschell (pronounced Noo-SHELL, in case you were wondering) Anne Windsor is a middle grade/young adult fantasy writer who hails from the Philippines and now lives in sunny Los Angeles. She is the President of CBW-LA, the Children’s Book Writers of Los Angeles (CBW-LA.org), which she founded in 2010 with the hope of sharing knowledge with fellow children’s book writers in the area. Through her work with CBW-LA Publications, Nutschell has co-created, co-produced, and co-written Story Sprouts and Story Sprouts: Voice, Writing Day Resource and Anthologies which features more than 60 works of original poetry and prose, along with writing prompts, tips, techniques and handouts -rich reference tools for writers and teachers alike. Nutschell also co-created and co-produced Kayla Wayman, Junior Time Traveler: Lost in the Stream, a Story Sprouts Collaborative novel with one character, one story and one voice written by 24 different authors. To achieve this amazing feat, Nutschell pieced together all 24 stories by writing 8 key scenes. She also contributed the three illustrations found within the novel. Aside from her work with CBW-LA, Nutschell is also the Co-Regional Adviser of the L.A. Region of SCBWI(Society for Children’s Book Writers and Illustrators), where she help organize and produce various writing events and conferences for the Los Angeles Region. But Nutschell’s love for all things writing doesn’t end there. Currently, she is the Creative Writing and Events Rep for UCLA Extension Writers’ Program. Nutschell’s experiences have turned her into a detail-oriented, organized planner, and she uses these skills to teach and facilitate workshops and critique sessions for CBW-LA. She is also an active member of the blogging community. She shares writing tips, techniques and reports on various writing events at www.thewritingnut.com and on Twitter @nutschell. A Jane-of-all-Trades, Nutschell’s interests include photography, traveling, sketching, playing the guitar, ukulele, and drums, playing basketball, badminton, billiards and singing in the shower. She can be a toughie as shown by her current ranking as a Black Belt in the Filipino martial art of Eskrima. But mostly, Nutschell is a softie who enjoys watching funny cat videos and baking yummy desserts. Tiffani Barth was born and raised in upstate NY. The second of seven children (5 boys, 2 girls), she had a built-in audience for endless bedtime stories, and probably the most motivating family fan base one could ask for. Now, six manuscripts later, she is ready to share her stories with the world. The abundance of little siblings created a love of writing Young Adult and Middle Grade fantasy, which she is actively working on. She is consistently surprised by the hidden truths and realities provided by imaginary worlds and situations, and loves how these stories allow her to see her own world with a new and hopefully better perspective. She has a BA in Film, and has spent a number of years in LA working in television. Recently she moved to Salt Lake City, to pursue other career options. She loves to travel and draw on the beauty of nature and the mountains for inspiration. Tiffani is the treasurer for CBW-LA, and is also a member of SCBWI. Outside of writing she enjoys camping, hiking, playing music, going to movies, and exploring off the grid nooks within her own city. She can usually be found in a hole in the wall café, sipping tea and plugging away at her latest novel. Alana Garrigues is a freelance journalist and creative nonfiction author. Originally from the bookish mecca of Portland, Oregon, she now lives the sunshine life in Redondo Beach, California, where she writes for the local newspaper and raises identical twin girls with her husband. She is currently writing a “humorous humanitarian” book about a California nurse who uprooted from her laid-back, beach town lifestyle to move to the bush of Benin, West Africa to found a non-profit. Other projects include rough drafts of several children’s stories scribbled into notebooks, awaiting rediscovery and revision. Never one to pigeonhole, Alana is equally in love with telling compelling true stories and inspiring kids to love reading and writing; she hopes to move her career forward with one foot solidly rooted in both camps: creative nonfiction and kid lit. Alana is happiest when she sets foot on no fewer than two continents in a year, where she spends a great deal of time exploring and attempting to decode language and culture while away. She is a meticulous researcher, terrible housecleaner, incessant daydreamer, nature lover, and dabbler in all things art-related. Alana is the Publications Director for CBW-LA and author of “writercize,” a blog brimming with writing prompts for writers, students and teachers. She can be found at www.alanagarrigues.com. While attending Cal State Dominguez Hills and receiving a BA in Child Psychology and Masters courses in Conflict Negotiations, she met her Prince Charming who became her happily ever after. Now she calls the South Bay her home with her husband and three boys, and her Oscar will just have to wait. Angie found her love in writing children's stories and picture books through the concepts and questions her young boys would present. She is also following in her grandmother's footsteps, who illustrated children's books in Germany in the 1920's. Angie has come a long way from her first job at Mann's Chinese Theater popping popcorn. She has taught physically and mentally challenged children and adults, been an Event Coordinator for weddings and corporations, owned a photography business for babies and weddings, worked as Casting Assistant for a popular casting agency in Hollywood, was a Placement Manager for executives, office personnel, and medical personnel, and served as Human Resources Manager for a major satellite company. Currently Angie is a Human Resources Manager on a part-time basis and spends the majority of her work time writing handbooks, policies and procedures, and marketing materials. Angie is also very active with the Walteria Academic Alliance where she has implemented and coordinated several successful fundraisers for Walteria Elementary School. On her down time she loves to travel, make jewelry, and roller skate on the beach. Insomnia usually brings her the time to write her stories. Angie also reads her stories at different schools for her target audiences, and has spoken to middle school writing classes on the journey of a story and finding motivation. Since joining the CBW-LA Angie has been able to put her stories in to action, instead of remaining in her journal. With the CBW-LA, she found a renewed interest in becoming a serious writer and the motivation to take her stories as far as they can go. With excited eyes, Angie will handle Marketing, Fundraising and Publicity for the CBW-LA. Get to Know Us Better! Copyright © 2010–Present | Children's Book Writers of Los Angeles. (CBW–LA) | All rights reserved.